Hot/Wet Tap is defined as using a drilling machine to cut a hole into an in-service, under-pressure piping system. 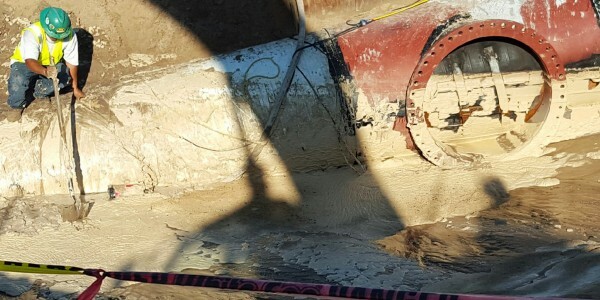 Hot/Wet tapping is a process of cutting holes into pipe, tanks, or any pressurized vessel without interrupting system function and with no release or loss of product. Hot taps permit new tie-ins to existing systems, the insertion of devices into the flow stream, permanent or temporary bypasses, and are the preparatory stage for line plugging. 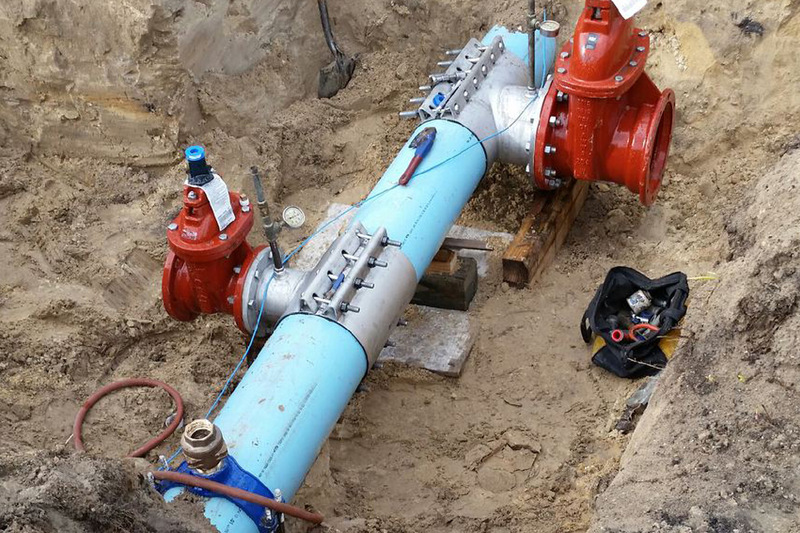 Hot/Wet/DryTap allows our customers to modify, maintain and repair pressurized systems with no interruption of production. Typical applications of a Hot Tap include making a branch connection, initiating a bypass and allowing performance of a Line Stop. Components required to perform a Hot Tap normally include a fitting designed to contain system pressure, a valve used to control the new connection and a drilling or tapping machine. 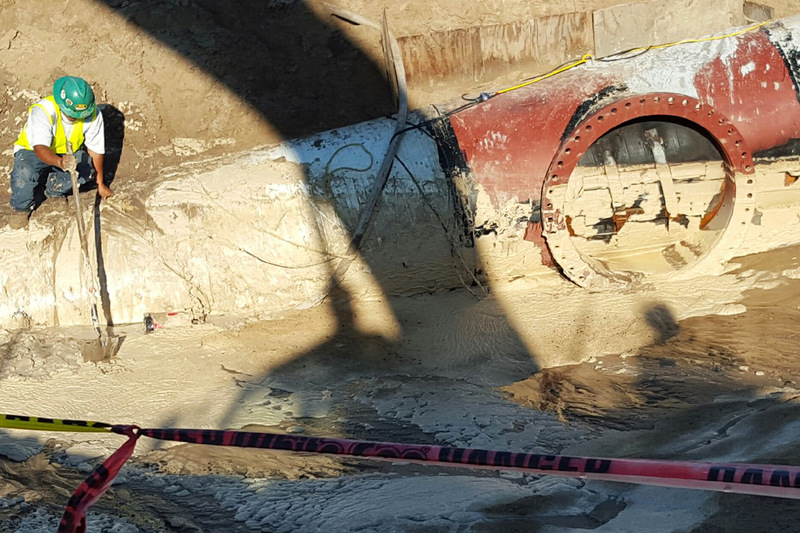 As a recognized leader in the Hot/Wet Tapping, EA Tapping Services brings 50 years of experience to our customers and strives to provide the highest level of customer satisfaction. Our equipment and technicians are prepared to meet any challenge 24/7/365 whether it is emergency, planned or routine maintenance activities of our customers. Available in size ranges 1/2 inch through 96 inch diameter cut sizes. Available off the shelf for up to 1480 psig maximum operating pressure and temperatures as high as 700° F. Custom designs and packers offered for higher system requirements. Power driven with pneumatic or hydraulic drives featuring a new level of sophistication and dependability. Complete dimensional compatibility with industry standards of consumables and equipment. This means that most other major brands of cutters, pilot drills, holders, adapters, etc. will also fit onto our new generation of equipment. Install pig sigs and thermo wells. This procedure refers to any hot tap where the centerline of the tapping nozzle is not perpendicular to the surface being tapped. We are currently equipped to perform angle taps in sizes 1″ through 24″, as much as 45° off perpendicular, and into the heel of short or long radius ells. 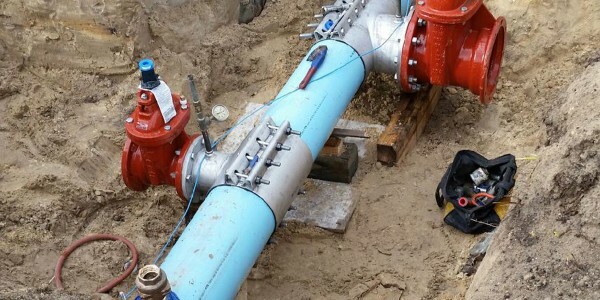 Hot tapping heavy-wall vessels and blind flanges is not a problem, provided special issues are addressed in the design of the branch connection. In addition to carbon steel, we commonly tap cement lined pipe, asbestos cement, transite, cast iron, stainless steel and other alloys, plastic and fiberglass. Although we tap these materials frequently, additional information such as the thickness and composition of linings, hardness of alloys, or type of fitting and valve through which we will be operating may be needed to insure that proper equipment is provided for your job. If it is necessary to tap or plug a line that cannot be welded, such as cast iron, ductile iron, transite, or even carbon steel in an area where welding is not permitted, a bolt-on tapping or plugging fitting can be provided. EA Tapping Services offers mechanical fittings by Smith-Blair, giving us the latitude to provide the right fitting at the right price and delivery for your job. If a standard product does not suit your application, one can be custom fabricated that will meet your needs.